Ostroff helped to found Condé Nast Entertainment in 2011 and led the studio division, which was set up to produce digital video, film, and television content in support of the company’s brands – which include Vogue, Vanity Fair, The New Yorker, GQ and Wired. 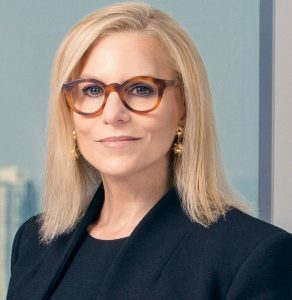 Prior to joining Condé Nast, Ostroff was president of entertainment for The CW broadcast network – the joint venture of CBS and Warner Bros that she helped launch in January 2006. The appointment comes after Spotify made its debut on the New York Stock Exchange in April. The company currently has a market cap of some US$30.66 billion.